If you’re growing your brows in (and who isn’t), here’s a new way to make your brows look fuller and thicker, and natural, during the process. One thing I noticed with clients that are trying to grow their brows in, is that they go heavy on the brow pencil, trying to fill in sparse areas, but only end up making their brows look heavy, fake and too drawn on. Is that you? Don’t worry. I’ve got a secret for you. Put down the pencil. And try a brow mascara. Colored brow mascara makes light baby fine, still growing in hair look so much better. And it’s the most natural looking brow makeup you can do. Th key is to go light, build up, and apply ONLY where needed. Most lightly the sparse areas. When applying a colored brow fix mascara to your brows, sometimes 2 coats is needed for lighter brows, but 1 is usually enough. Make sure to brush off any excess with a clean spoolie brush on the skin before you move on. Worried about the color being too much? Try a clear brow mascara instead. Let dry. By applying color ONLY to the hairs, you create an instant natural, fuller look. Ok, need a bit more, say, fluffiness? For a thicker look, brush your brows up with a clear gel. Two coats may be needed to get them to stay. 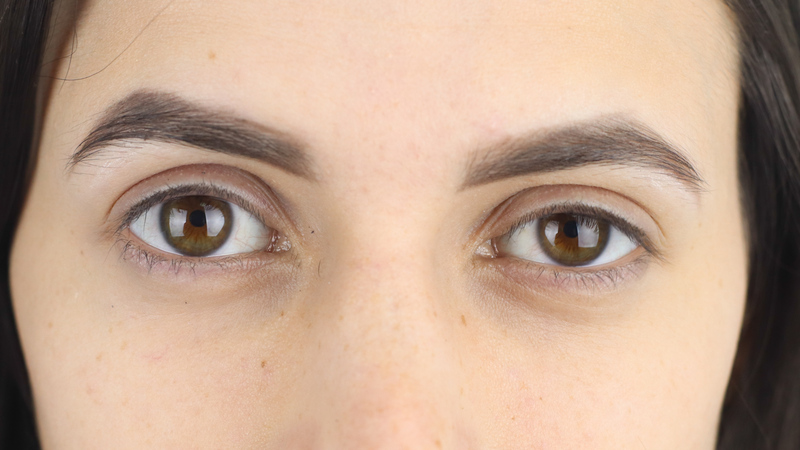 If your brows don’t naturally grow up, and tend to be more sideways or down, don’t expect too much of a brow lift. Your brows just won’t go that way because of the direction the root is growing. But you can make them thicker looking by layering. Either do a colored brow mascara first, then layer a clear one over. Or do 2 coats of of of them. Try our Lash & Brow Thickener & Primer. Does the thickening for you and makes thin brows look amazing. Apply on clean brows and then apply 1 coat of a clear brow gel or colored. Makes hairs instantly thicker. You can also apply to your lashes as well before mascara. Okay, still have spaces, gaps? Sparseness? Even after the brow mascara? Fill in and apply your brow pencil, either regular or waterproof, but the trick is to ONLY apply the pencil where needed at this point. Your brow mascara should have removed about 70% of any gaps and spaces. But still see a few? That’s where you apply. No where else. Make sure you do this AFTER the brow gel/colored brow mascara. Then take a clean spoolie and brush through to softly blend the pencil. Think of your pencil as a shadow effect. And go same color or 1 shade lighter than your brow hair. Don’t try to match the darkness of your brow hair. It’ll just look too heavy and fake. That’s it. You’re done. Brows look natural and filled in without looking made up.